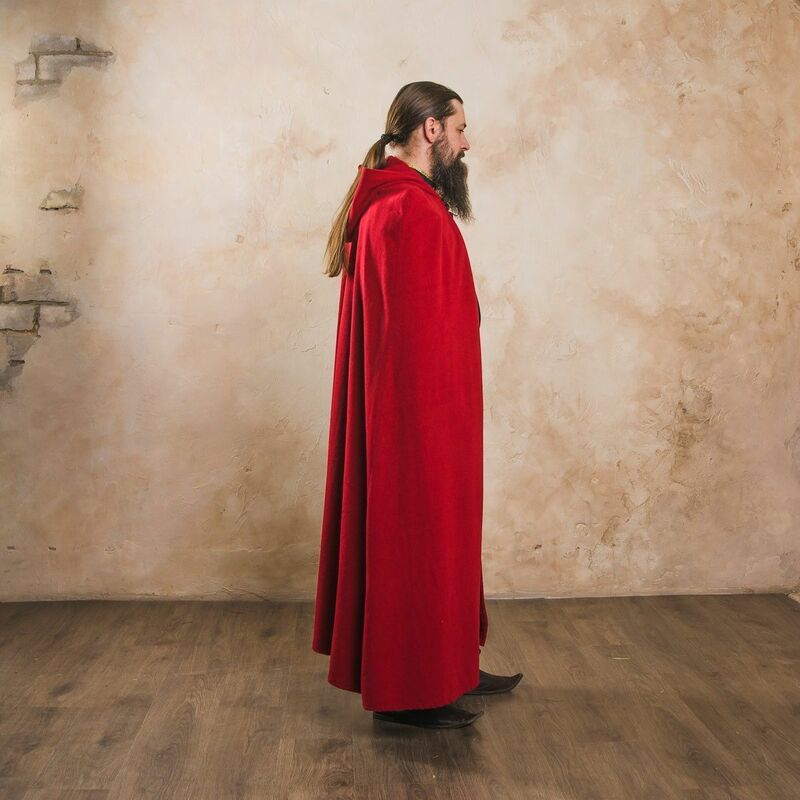 The long hooded cloak ankle-length for protection against rain and wind. It is being fastened under the chin with button. Colour of the cover material and lining is common, but it can be changed to the contrast one by your wish. 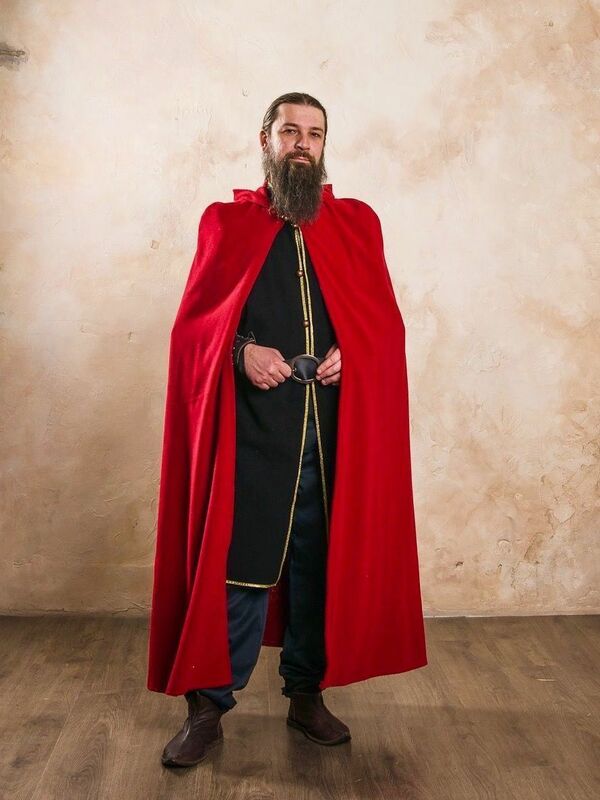 The cloak will be wonderful addition to your fantasy or medieval costume. We make this beautiful item of clothing according to customer’s parameters and wishes. The price of item depends on the chosen fabric. 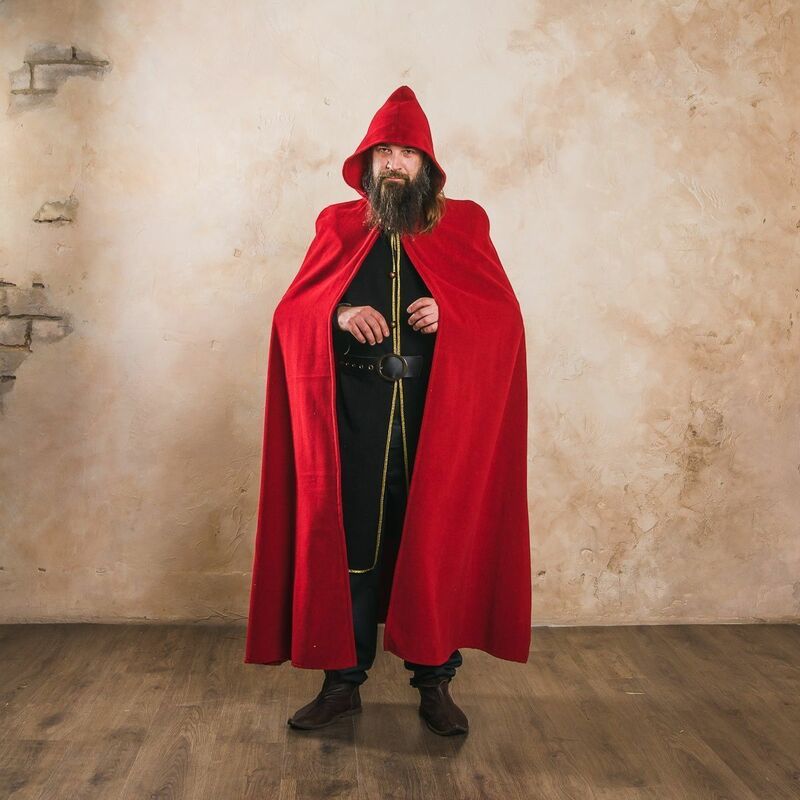 You can order the cloak made of linen, cotton, wool, silk or velvet. This coat with hood and wide sleeves can be made of linen or wool and goes perfectly with the dress "Balmy Ginger" or any other dress. - hood and sleeves gave a linen lining of contrast colour; - the coat is fastened with 8 metal buttons; - its edges are decorated with beautiful trim; The colour of outer fabric is available in options. The lining fabric is linen only. If you have any wishes regarding colour of lining fabric of sleeves and hood or trim, please contact us [email protected] Fibula is not included into the price. ..